New week, new comics. For this New Comic Book Day we get Punished twice, go into the future with Valiant, a cat gives us a little present, and the Flash goes head strong into issue #51. As always these are only a select set of new releases that stood out from the crowd. Check out our other blog articles so see our thoughts on other books. Be sure to comment or share our post on Facebook or Twitter if you like our articles! It’s finally here the book that you’ve been waiting for! In the midst of all the crazy alien invasions and huge battles going on with the Avengers, there’s still street gangs and drug runners slipping through the cracks. Pushing weapons onto the streets and a new drug that makes anyone an unstoppable killing machine. The police can only do so much without crossing over the line. Who will inflict the justice that is sorely in need? Frank Castle “The Punisher“! He is judge, jury and executioner against all injustice in the streets of New York and will not stop until justice is served. In this breakout issue Frank runs into a ghost from his past that will change the course of things to come. New Japan is a group of sectors that hovers in Earth’s orbit, an actual satellite nation, in the future. The A.I. construct who controls the functions and populace of this seeming utopia is called Father, whose champion is known as Rai, who has been jettisoned back down to the Earth. This series jumps right in without requiring any previous investment in the Valiant universe. The artwork is glorious, as you’d expect from Clayton Crain and David Mack, while the tapestry is designed by the phenomenal mind of Matt Kindt. Netflix’s Daredevil series introduced the MCU, and the world to Frank Castle aka The Punisher. It’s only fitting that we get another taste of that Daredevil vs Punisher story. 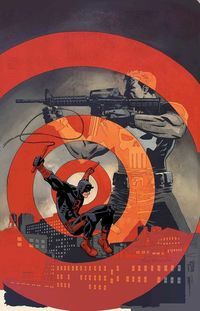 Taking from Charles Soule’s current series, Daredevil has help from his partner, Blindspot. Let’s be honest here, he’s going to need it. 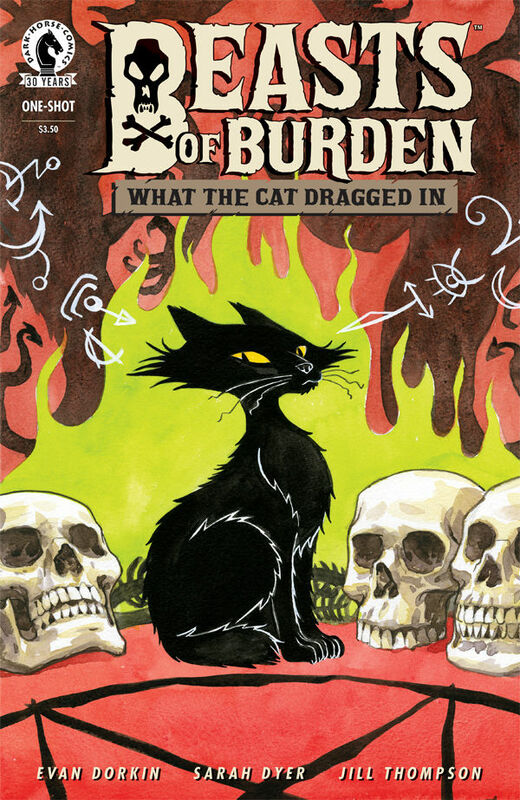 In this One-Shot issue the newest member to the Beasts of Burden comes under scrutiny for their past. Dymphna a familiar, has kept secrets from her group. They intend to find out what she’s been keeping from them. It’s safe to say, it’s more than they asked for! Beast of Burden has been and still is a fantastic series. Evan Dorkin and Sarah Dyer are fantastic in this series. The fun and creepiness is there, with relatable characters, even though they’re all animals. Jill Thompson paints her heart out on every page. It’ beautiful to look at. She does this great job with cat reactions in this issue. I can see my cats doing the exact same movement and jumps as we find out friends going on their adventure. Terry Dodson Talks to TFAW.com About Uncanny X-Men and More!